Trafford Park is one of the Northwest’s premier locations for industrial and distribution warehousing. The Park is situated on the western fringe of Manchester city centre and is directly served by an excellent range of road and rail communications, including five motorway junctions and a Eurorail freight terminal. The property is situated to the rear of Westpoint Enterprise Park and is accessed via Clarence Avenue which links with Ashburton Road West. 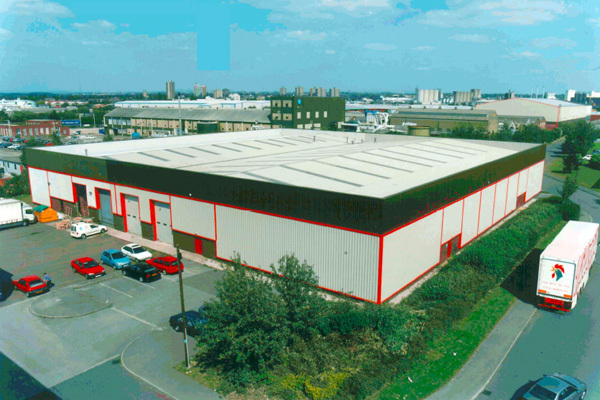 The freehold property comprises a single storey semi detached warehouse which was rebuilt in 1999 following fire damage. Eaves height to underside of haunch is 5.44 metres and the full heaves height is 6.39 metres. Sold to tenant at premium price June 2008.